1. Peel and slice the sweet potato. 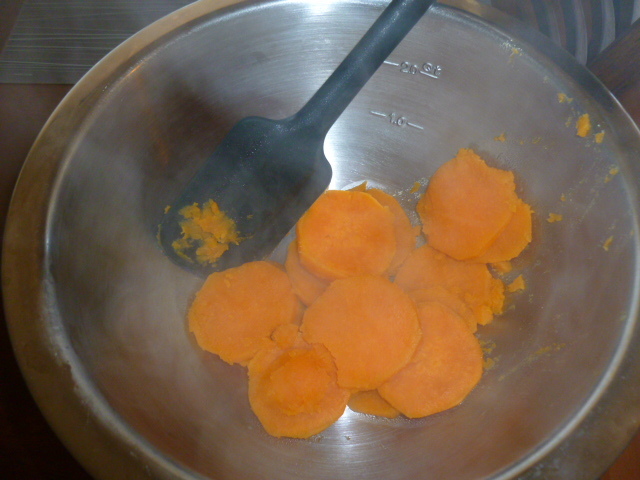 Place in a large pot and add ½ cup water. Cover and cook over med-high heat for 7-8 minutes, until the slices are soft and the water evaporated. Mash (not too smooth). Cool to room temperature and measure 1 cup. 2. Preheat the oven to 350F (175C). 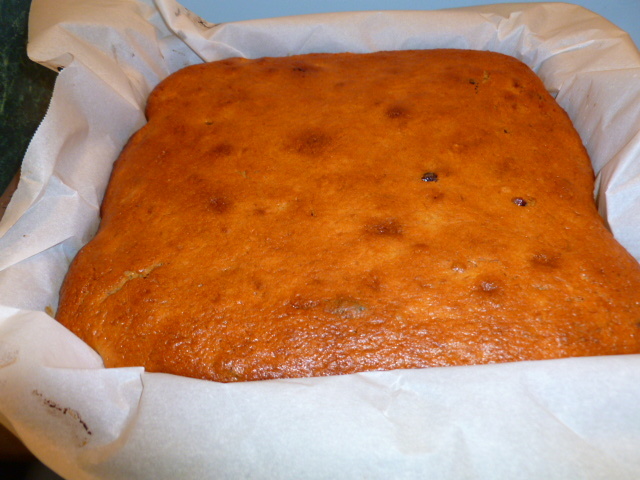 Line a 9.5 inch (24cm) square pan with baking paper. 3. 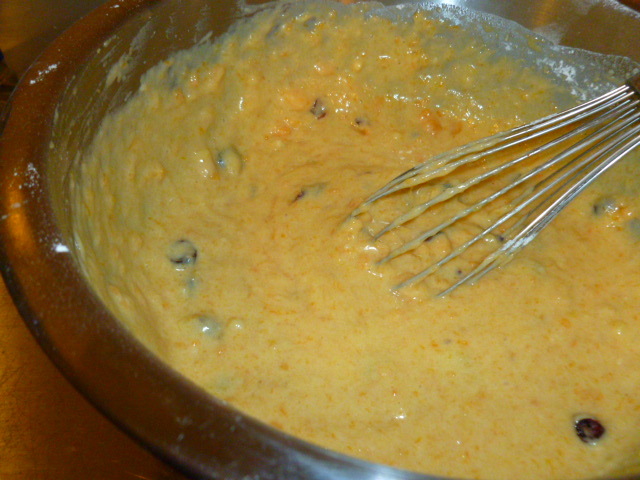 In a large bowl, whisk together the eggs, sugar, applesauce, oil and orange juice. 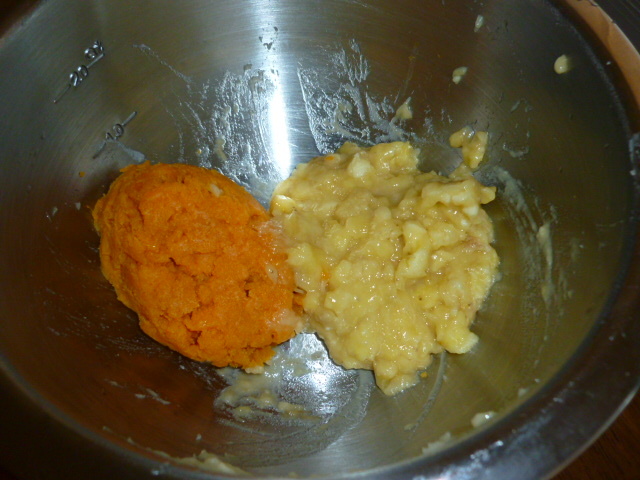 Add the mashed sweet potato and bananas and mix. Add the flour, baking powder, salt and ginger. Mix lightly. Add the cranberries and pecans and mix again. 4. 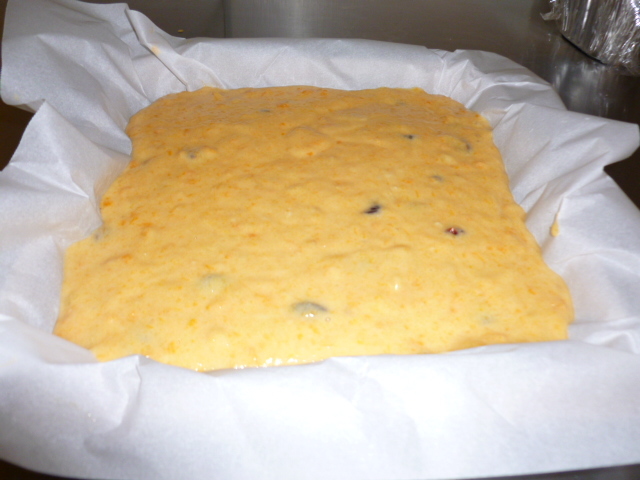 Transfer the batter to the lined pan. Bake for 35 minutes – until the bread is golden brown and a toothpick inserted in the center comes out clean. 5. Holding the baking paper, transfer the bread to a cutting board. Cool to room temperature and slice. Keep in an airtight container up to a week, or portion and freeze for up to a month. it seems quite simple to make. How long can it keep? It is quite simple indeed. Give it a try! It can keep for up to a week in an airtight container, or in the freezer for up to a month. All my favorites in one dish! Is it possible to substitute something else for the banana? I guess you could try and replace the banana with same amount of extra mashed sweet potato, and add 1 Tbs or soft butter, to compensate for the creaminess. 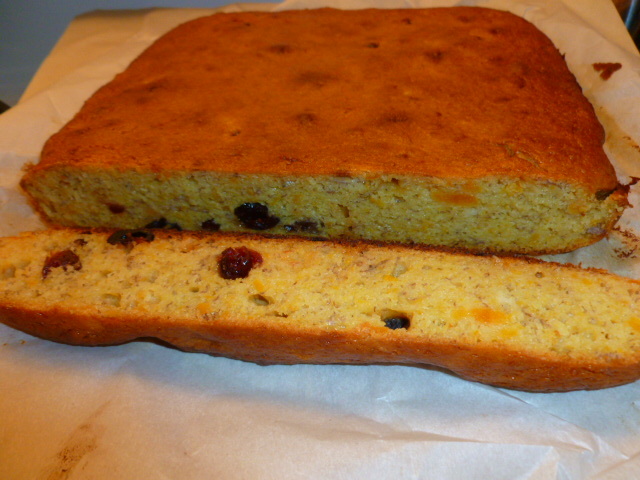 This is extremely simple and love the use of ginger , fruits and nuts all together. i have looked and found it and bookmarked it. I’ll be trying it next week. Thanks for pointing this out for me. I love the sound of the ingredients added. Have a pleasant Sunday!